With a little more than three weeks to go, excitement is building ahead of ADNOC Abu Dhabi Marathon which takes place on December 7. The race is open for all categories and will be held over a 42.195-kilometre course that will showcase the landmarks of the capital to a global audience. In recognition of the Year of Zayed, the race will bring together professional athletes, novice runners and thousands of people under one umbrella, offering them a chance to participate in a series of events from 2.5km and 5km fun runs, to the 10km and full-distance marathon. 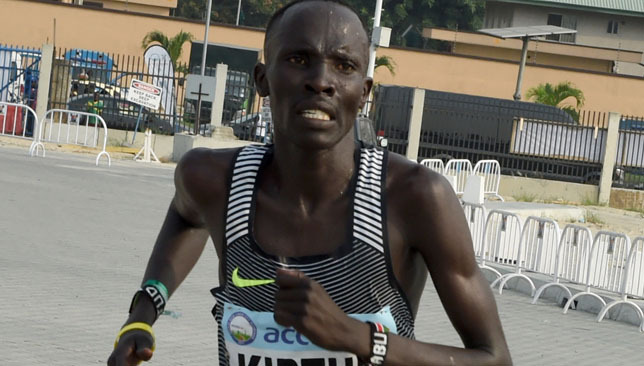 The stellar field will include the new world half marathon record holder, Abraham Kiptum from Kenya, as well as Ethiopia’s Gelete Burka, the world champion at the 2006 IAAF World Cross Country Championships. Also in the elite men’s section will be compatriot Stanley Biwott, winner of the world-renowned 2015 New York City marathon. The 26-year-old earned his first major marathon victory that year, crossing the line in 2:10:32. 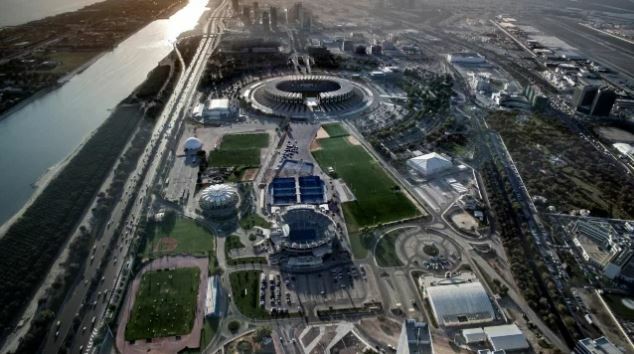 Major General Mohammed Khalfan Al Romaithi, chairman of General Authority for Sports, said the ADNOC Abu Dhabi Marathon is the latest addition to the ever-growing list of international sporting events to arrive in Abu Dhabi. His Excellency Aref Al Awani, the general secretary of the Abu Dhabi Sports Council, added: “The UAE is proud to welcome elite athletes from across the globe to join us for the inaugural ADNOC Abu Dhabi Marathon. Participants will begin the marathon outside the ADNOC Headquarters, on Abu Dhabi’s famed Corniche, and follow a route towards the Emirates Heritage Village. They then make their way around Marina Mall, along King Abdullah Bin Abdulaziz Al Saud street, and on to Qasr Al Hosn, one of Abu Dhabi’s oldest and most beautifully maintained stone buildings. The final stretch of the race runs through Mina Zayed, before returning to ADNOC HQ. The full line-up of runners will be announced at a press conference on December 6 and will be attended by the athletes. There is still time to join in and take part in the various race categories. For more information visit www.adnocabudhabimarathon.com. It’s time to lace up your trainers and hit the track for the second race of Super Sports Run Series later this month. More than 800 runners are expected to flock to the Track Golf Club at Meydan, Dubai on Friday November 30 and you can still join them ahead of the deadline on Tuesday November 27. Whatever your ability, there are various distances to choose from, ranging from 3km to 10km. For those who want to test themselves even further they can compete in the 10 Miler, a new category, which will see them run for 16km. Age categories for the 16km and 10km are under 30, 30 to 39 years, 40 to 49 years, 50 years and over. The 5km is for under 19, 19 to 29 years, 30 to 39 years and 40 to 49 years and 50 years and over. The 3km is aimed for junior runners with categories including under 9 years, 9 to 12 years, 13 to 15 years, 16 years and over. There’s even more reason to sign up considering the Super Sports Run Series allows all athletes finishing the race a chance of winning an all-expenses paid trip to Thanyapura in Phuket, Thailand. 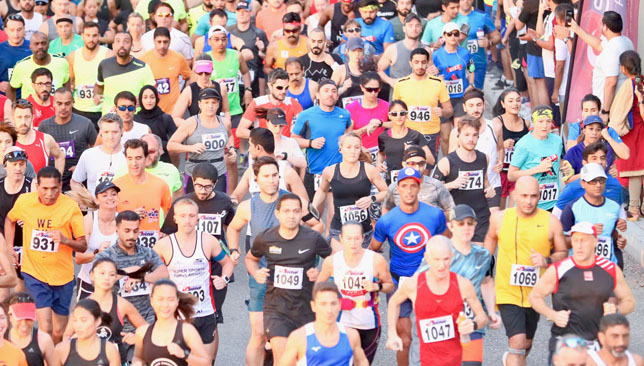 Previous editions of the community event, sanctioned by Dubai Sports Council, have proven to be a massive hit and Warren van der Merwe, race director of Super Sports Events, organisers of the run, is confident there will be a big turn-out this month. “Race 1 attracted over 870 runners despite the hot and humid conditions so we are hoping for a similar number of runners to join us now that the mornings are becoming a bit cooler” he said. “As it is National Day weekend we are celebrating living and running in the UAE by encouraging everyone to pin UAE flags to their running gear, caps or even face paint it on their bodies with prizes for the best dressed runner on the day” he added. Entry costs Dh175 for adults and Dh125 ( juniors), while there will be a discount for families of three or more. Included in the fee is a finishers’ medal, T-shirt, photographs, electronic chip timer and refreshments. 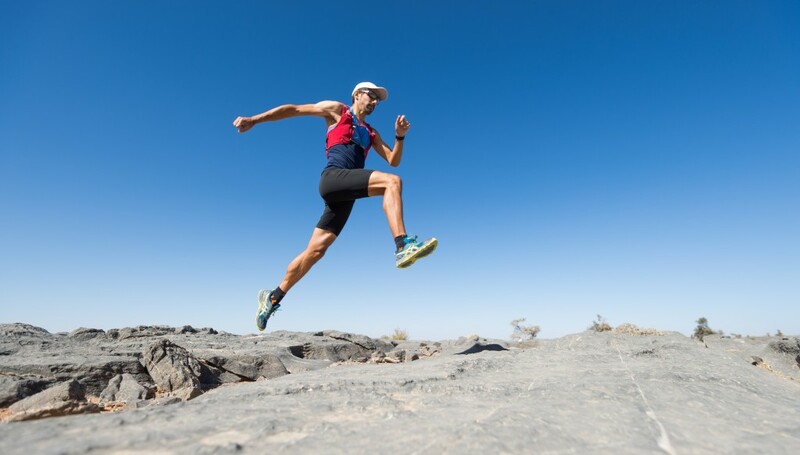 The stage is now set for the Middle East’s first ever ultra-trail running event with the start of the inaugural OMAN by UTMB just one month away. With final preparations to the 137km course now complete, a cast of 455 registered local, regional and international runners are set to cross the spectacular non-stop challenge start line on Thursday, 29 November. Specifically designed to take the ultra-trail athletes through some of the Sultanate’s most dramatic and remote mountain landscapes, the course follows traditional tracks and new built sections, with no less than 100km of the course having been improved in preparation for the ground-breaking event. Care has been taken to prepare and signpost the route to provide a long-term legacy for both local communities and adventure sports tourists, a key objective for the country. With entries exceeding expectations, OMAN by UTMB has attracted leading members of the international ultra-trail community – representing more than 50 countries – to an adventure described by UTMB Mont-Blanc race director Michel Poletti as “a must-do event”. “We are delighted that so many international ultra-trail runners have seized the opportunity to come and see what OMAN by UTMB and our beautiful country has to offer,” said Salma Al Hashmi, chief marketing officer of event organisers Oman Sail, who are hosting the challenge with the support of UTMB International and the organisers of UTMB Mont-Blanc. 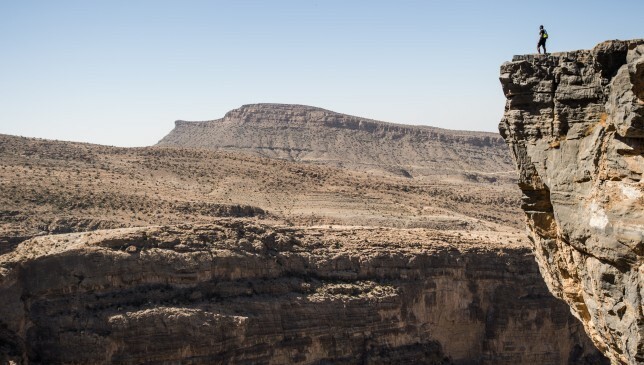 “The course is the match of anything to be found on the UTMB calendar and we believe that Oman’s striking beauty will speak for itself when the event gets underway. High-profile runners taking part include five who have taken on the role of event ambassadors. The most recent addition to this select group is Samantha Chan, who came third in the 2018 Gaoligong by UTMB 125km race in China, and is the best known female runner in Hong Kong. She joins the 2016 Ultra Trail World Tour champion Gediminas Grinius, Diego ‘Zpeedy’ Pazos, the extrovert Swiss athlete also known as the ‘bow tie trail runner’, filmmaker Jason Schlarb, the top American finisher in the 2014 UTMB Mont Blanc, and Meredith Edwards, one of the leading and most popular female runners on the circuit. Along with the rest of the impressive field they have been attracted by the natural beauty of Oman’s interior, alongside the prospect of tackling the 137km route which features long and technical climbs and a total vertical gain of more than 7,800m. Starting in the historic town of Birkat Al Mawz, OMAN by UTMB takes in the 2,200m heights of Jebel Akhdar, the Green Mountain, with wadis, ridges, ancient villages and desert landscapes providing an immersive experience in a unique Arabian environment. The leading runners are expected to complete the course in around 20 hours, having experienced temperatures ranging from 25°C at low level to 10°C in the mountains, possibly much colder at night. Those taking part in OMAN by UTMB will enjoy preferential access to the heavily-oversubscribed UTMB Mont-Blanc, the pioneering forerunner of the whole ultra-trail experience which has now grown to global prominence. OMAN by UTMB starts at Birkat Al Mawz, near Nizwa, at 19:30 on Thursday, 29 November.